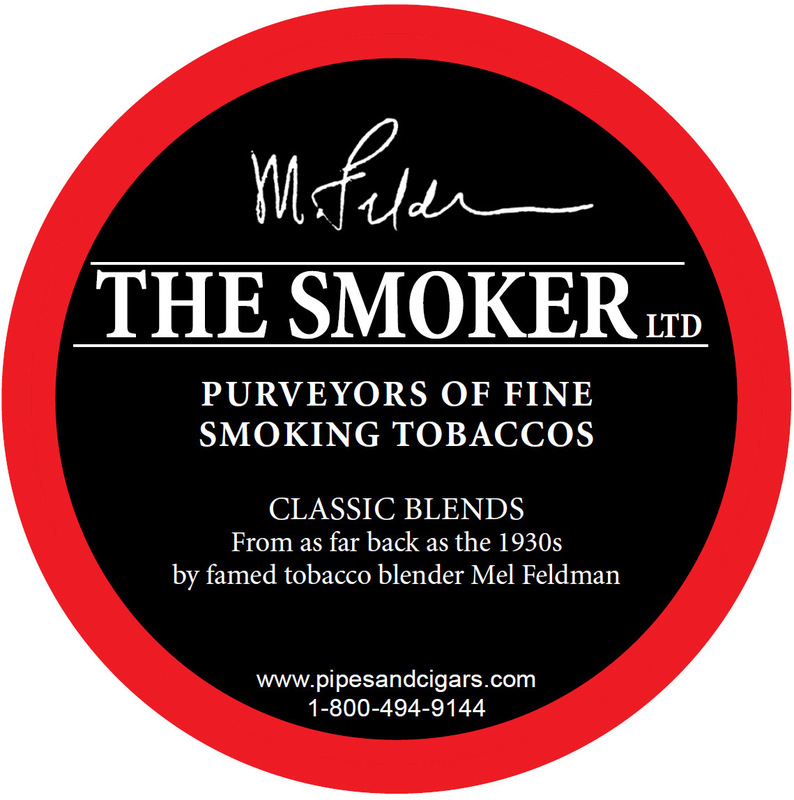 Mel Feldman’s The Smoker Blends Are Back! Starting in the 1930s, Albany, NY was home to a legendary tobacconist- The Smoker. The shop was a mainstay, operated by Solomon Levin, first on Madison Avenue, and after being sold to Mel Feldman in 1973, moving to Washington Avenue not far from the Capitol building in the 1980s. Many pipe smokers looked upon the shop as the place to search for estate pipes of all kinds. The owner for the last thirty years of its existence (the store closed in late-2011), Mel Feldman, has been well known for his knowledge of estates, and particularly Barlings. In fact, Mel picked up the nickname “Mr. Barling” for his extensive background regarding that iconic brand. But Mel and his shop were also renowned for the widely varied house blends that he made by hand, one pound at a time. When Feldman began appearing at the consumer pipe shows, which began in the eighties, many people around the country were finally exposed to these wonderful tobaccos and became fans. In response, Mel worked with Cornell & Diehl to take his fourteen most popular blends and have them tinned. As a result, even more people became steady customers of The Smoker. After the new millennium arrived, Feldman realized that the hassle of day-to-day operations wasn’t worth the strain, so he turned to mail order. Unfortunately, due to a questionable interpretation of the laws, New York State forced him to close. It seemed that the devotees of his blends wouldn’t be able to purchase them any longer. In early 2013, the owner of Pipes and Cigars.com, Scott Bendett approached Mel about the idea of bringing back those original tinned blends, some of which date back to the 1930s. When he expressed interest, Feldman worked together with longtime friend and blender for Pipes and Cigars.com, Russ Ouellette, to recreate those blends. 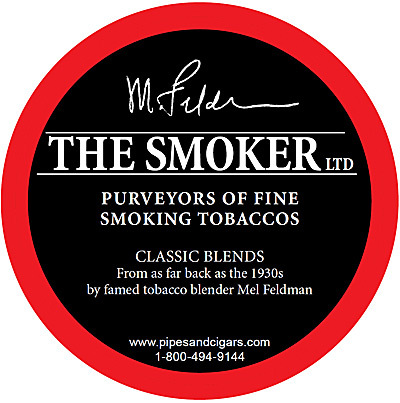 When Feldman was satisfied that the blends were up to his standards, an agreement was made to have them tinned for sale through Pipes and Cigars. As a bonus for his customers, Mel pulled out the formula for a blend that he had made for well-known pipe and tobacco collector Fred Goldring, and with Mr. Goldring’s blessing added that to the lineup. To reintroduce these blends in grand style, PipesandCigars.com will distribute samples of the blends at the Chicagoland Pipe and Tobacciana Show on May 4th and 5th, in St. Charles, Illinois at the Pheasant Run Resort. At the same time, 1.5 oz. tins will go on sale on the website.